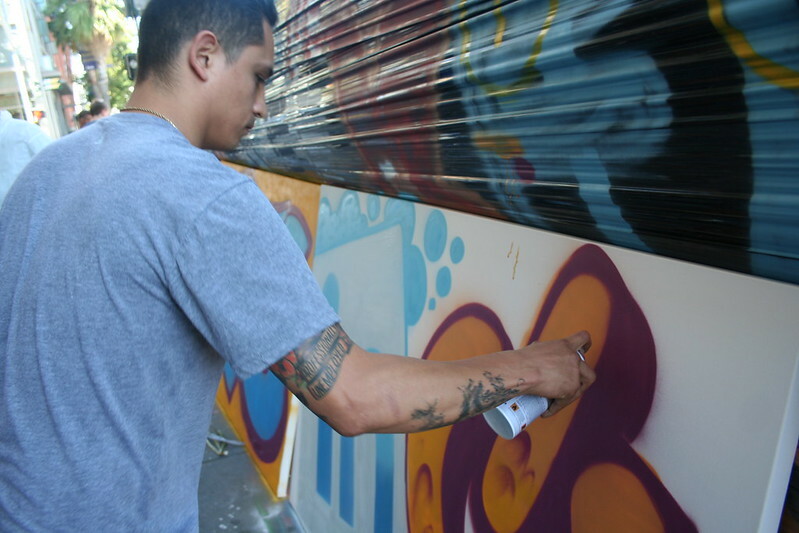 LinkedIn and 1AM link up for an afternoon of graffiti! Home/Events, Graffiti Art, Mural Production, Team Building Workshops, Uncategorized/LinkedIn and 1AM link up for an afternoon of graffiti! LinkedIn joined us at the gallery for a workshop packed full of activities from t-shirt stenciling to marker tagging practice to mural painting. 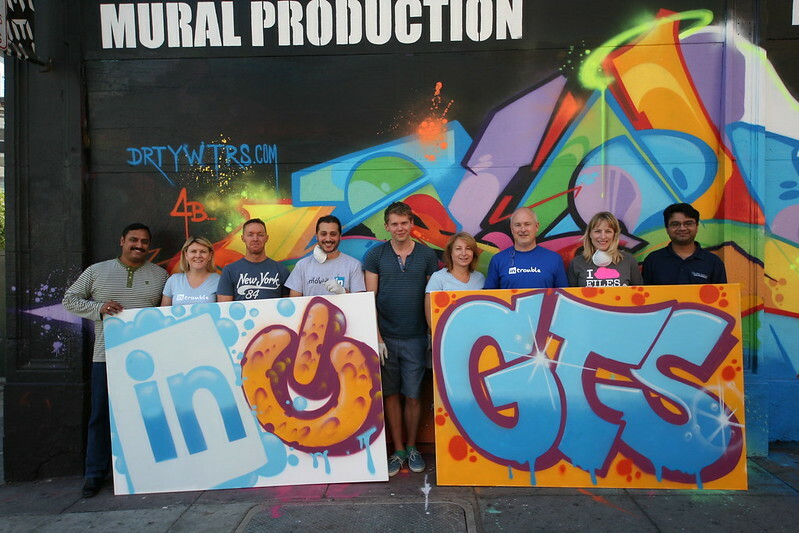 Energetic the entire afternoon, Linked-In’s team were quick to embrace the art of spray painting and took home with them two murals, one with the acronym “GTS” and the other with the company’s logos accompanied by a bath time theme. Contact us via email at privateevents@1amsf.com to set up your next team bonding event!